People often say that coming to Louisiana is like walking into a fantasy. There’s the Spanish moss, the eerie fog, and the swamps that definitely have secrets swimming beneath their surface. Yet, a blossoming and blooming movie tactic in these technologically advanced days is using our fair state as the location but not the background for some out-of-this world scenes. In contrast to studios, such as the Diamond Film Company Studios on Bayou Saint John that closed in 1920, modern studios focus on using Louisiana to create locations that are not Louisiana. These studios–equipped with green screen sets, special effects, and computer programs–allow producers to film in New Orleans, for instance, while creating settings of other places. For example, the fictional setting in the film The Host takes place in the deserts of New Mexico when in reality the entirety of the filming was done in Louisiana. The swamps located in Louisiana have also been used to simulate rain forests and jungles. Besides offering a no-boundaries approach to filming since with this technology you can literary go anywhere you want in Louisiana, these modern studios offer a much greener alternative to their predecessors. Let’s take, for instance, Second Line Stages. While producers are of course concerned with creating a profit in the long run, Louisiana has been working in the past decade to produce a steady flow of productions to studios in order to sustain local employment in the film industry (check out Malyshev’s “Financing film through aggressive tax incentives  A losing battle for states?” Media Law and Policy 19: 3 for details on this theory). The debate over the tax incentives, which you can read more about from Brian Friedman (Part I and Part II) if you need to brush up, is a hot-topic button, but tax incentives or not, studios in Louisiana are at the vanguard of support and sustainability. 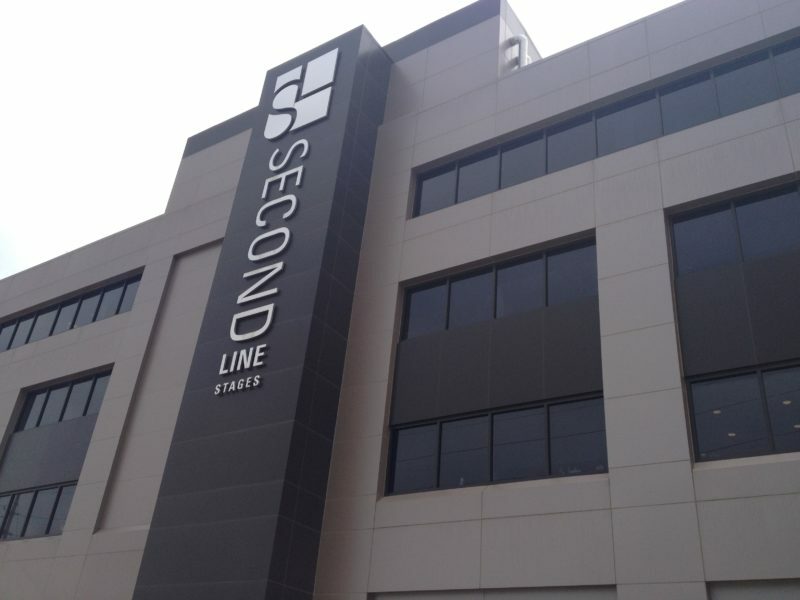 Second Line Studios is a New Orleans based studio company consisting of stages: a digital screening theater, conference rooms, hair and makeup studios, green rooms, storage space, and even onsite catering. The most unique characteristic of this studio, in contrast to older studios, is its effort to be environmentally conscious. A bio-diesel alternative fuel generator powers film production and the studio is a LEED certified complex, among other characteristics that make Second Line Studios a green filming location. In addition to this environmental advantage, Second Line Studios has been gossiped about, but in the good way. When the tax incentives were present, they were know to assist producers in utilizing the incentives to help bring more filming and film industry professionals to Louisiana (“Movie Production Studio New Orleans Louisiana  SecondLine.” Movie Production Studio New Orleans Louisiana  SecondLine. Web. 07 Apr. 2013). The ability of these studios to create realistic settings allows producers to decide on filming locations based on resources offered by the workplace, workforce skill located in proximity of the potential filming studio, and tax incentives offered by the state. Second Line Studios supplements these benefits by offering a green filming studio. Native studios such as Second Line serve a fundamental purpose in pursuit of a thriving film industry. While transplant production facilities have arrived in Louisiana and have established themselves as the foundation of the New Orleans film economy, homegrown film entrepreneurs will “cement the industry in the state’s overall economy” (Baxter, C. L. (2011). Fiscal and Economic Impact of Louisiana’s Entertainment Incentives. Report for the Louisiana Economic Development Office of Entertainment Industry Development and the Legislative Fiscal Office, pp. 6-7). Recent reports also indicate that the percentage of projects produced by local studios has increased, although transplant production companies still produce the big motion picture projects. We want to keep projects local and green while not limiting anyone to the confines of their surroundings. If there is something that we take to heart in New Orleans, it’s that we may not be like the rest of the world so those rest-of-the-world rules and standards don’t always apply to us. Movies can be about reality, escapism, fantasy, and so much more; with studios like Second Line Stages, they can also be about giving back and being green where it really counts.